Q. 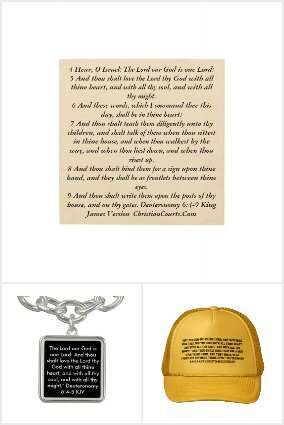 What does keeping the Commandments Mean ? Can anyone keep them ? Q. What is the Court's Christian CHRISTIANITATIS CURIA ? A. A Christian Court is a court that operates according to the Laws given by God, in the Old and New Testaments of the Bible. God spoke threw the prophets in the Old Testament, where it is written: God Said, or God told Moses, or God told Abraham. Wherever God spoke. In the New Testament God's Law was spoken by the Messiah Jesus Christ, also referred to as Yeshuah. The words of the followers of God, and their opinions come secondary to God's Spoken Words, and they must comply with God's Words, or they are void. For example, Jesus said not one tittle of the Law will be done away with until He returns again. Traditionally the Christianitatis Curia was used and abused by the Roman Catholic Church, who replaced God's Laws with Papal Law, and other man made law. We are working on Example Documents that can be used to Constitute and operate a Christianitatis Curia, and they can be found here: http://www.mindblowingidea.com/CHRISTIANITATISCURIA/ In addition, we may need to write a book, listing all the laws from God in scripture. You can help us by joining our Facebook Group here: https://www.facebook.com/groups/1508334452737409/ or by sending us a Donation. What courts are there in the UNITED STATES, and how are the Christianitatis Curia different ? In the UNITED STATES Common Law, and Statutory Laws have been legalized by the UNITED STATES. Q. You may ask, how will this keep the existing Governments from hurting us ? Q. [From Prav Regnum] "If it is true that they've been changing their legal system to erase common law from it, can't you sue them for that as fraud/ misleading the people? Their legal system does not seem to be based on TRUTH. You can but whether you'll succeed, I dunno...﻿"
A. Think of it this way. If a criminal steels from your house, and the criminal is stronger than you, belongs to a gang with a large number of thugs, and has superior firepower; are you going to be able to go into the criminal's house, or too the criminal's gang, and report the criminal for harming you ? No !!! The same is true with the US Government Gang, and the State, County, and City Gangs. You can't go into their courts, and fight them, because the house always wins. The exception to this, is when the high courts of a State, County.... decide they will follow the law, and enforce it correctly, and then they aren't a gang, they are the good guys; but this is getting harder and harder to find, as more Governments are becoming gangs. Here in THE STATE OF WASHINGTON, they are all gangs as far as I know, including the Federal Courts and Government. As the Bible says, by their fruit you shall know them. The fruit here in WA State is tons of sexual assault, drug sales, and lawlessness, as well as prosecuting and persecuting good people, who recognize when something is wrong and speak up about it. If you don't shut up, about the corruption and crime, they will arrest you, and take your rights away. I just helped a friend, in a State where they still follow the law, to get what they wanted in court. Some good places still exist. Q. How do the Christianitatis Curia get consent and Jurisdiction of the people ? A. Traditionally in the United States, it has been assumed by the Government that since the majority allegedly voted on, and agreed to the Constitution for the United States, that all of the people who are in the 50 United States don't need to give their consent to be Governed, since other people already did long ago. This has made several people upset, by saying things like: "I never agreed to this, I was just born here." and things like that. So the Christianitatis Curia gets Jurisdiction in many ways, first and foremost by voting on the Constitution, and then by parties having the chance to pick the Elders who will run each case, and another way is by constituting Christian Communities. In any case the Christian way of life, is to submit to God, and consent to God's laws willingly, and perhaps to have others keep them accountable. So How do we get Jurisdiction ? In addition to the Christianitatis Curia, there has been expressed a desire to constitute Christian Communities, that will use an optional coupon Currency and bartering system. In order to join the said Christian Community, or use their non taxable currency and bartering system, one must sign an agreement to be under the Jurisdiction of the Christianitatis Curia, and all the laws and rules given by God in the Bible. If one chooses not to submit to the Jurisdiction of the Christianitatis Curia, and has allegedly committed a trespass against another, or against God that they have not settled, then that people will be expelled or excommunicated from the Christian Community, it's bartering System, and currency use, as well as any Churches or locations under it's Jurisdiction; until such time as the individual submits to the Christianitatis Curia, and makes things right again. In this way we are not forcing Jurisdiction on everyone, only those who consent, and their children. As long as the UNITED STATES exists, and prohibits the Christianitatis Curia from dealing with Felonies, and issuing harsh sentences, the Jurisdiction of the Christianitatis Curia will only be over non-Felony offenses, and may not give harsh sentences that are prohibited by the UNITED STATES. Here are some of the terms used in Law Books. L 4.W SPIRITUAL. The ecclesiastical law, or law Christian. Co. Litt. 344. See, also, .Ecclesiastical Law. ECCLESIASTICAL. Pertaining to anything belonging to or set apart for the church, as distinguished from "civil" or "secular," with regard to the world. Wharton. ECCLESIASTICAL COURTS (called, also, "Courts Christian"). A generic name for certain courts having cognizance mainly of spiritual matters. D. v. D., Del.Super., 20 A.2d 139, 140. A system of courts in England, held by authority of the sovereign, and having jurisdiction over matters pertaining to the religion and ritual of the established church, and the rights, duties, and discipline of ecclesiastical persons as such. They are as follows: The archdeacon's court, arches court, consistory court, court of archdeacon, court of peculiars, prerogative court, court of delegates, court of convocation, court of audience, and court of faculties. 3 Bl.Comm. 64-68. Equitable Life Assur. Soc. v. Paterson, 41 Ga. 364, 5 Am.Rep. 535. ECCLESIASTICAL JURISDICTION. Jurisdiction over ecclesiastical cases and controversies; such as appertains to the ecclesiastical courts. Short v. Stotts, 58 Ind. 35. CHRISTIANITATIS CURIA = court of Christianity; the court Christian, as opposed to the civil court. Esquire = title of office given to sheriffs, sergeants, and barristers at law, justices of the peace, and others. COURT OF CONVOCATION = A Higher Christian Court, or Supreme Court over multiple provinces. 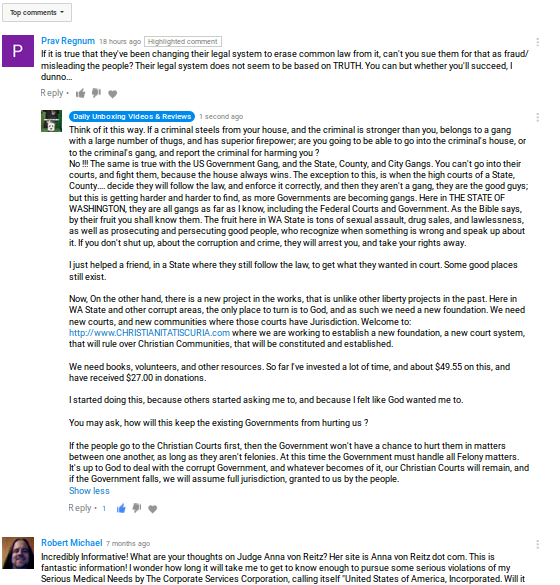 SUPREME COURT OF CONVOCATION = Highest court, over all other Christian Courts, within it's Land and Border Jurisdiction. "The very meaning of 'sovereignty' is that the decree of the sovereign makes law." American Banana Co. v. United Fruit Co., 29 S.Ct. 511, 513, 213 U.S. 347, 53 L.Ed. 826, 19 Ann.Cas. 1047. "'Sovereignty' means that the decree of sovereign makes law, and foreign courts cannot condemn influences persuading sovereign to make the decree." Moscow Fire Ins. Co. of Moscow, Russia v. Bank of New York & Trust Co., 294 N.Y.S. 648, 662, 161 Misc. 903. Only God is truly sovereign, and only God can make law. The Christianitatis Curia, Court of Convocation, & Supreme Court of Convocation are religious Non-Governmental entities, and as such, they have no obligation, duty, or allegiance to any Government, under freedom of Religion, and alleged separations of Church and State.